After waiting for more than two years, Benelli finally brought in the TrK 502 to India. In fact, at the launch, the company also brought in the off-road-focused TrK 502X. It has been just over two weeks since both these motorcycles have been launched and the company has already received 150 bookings. 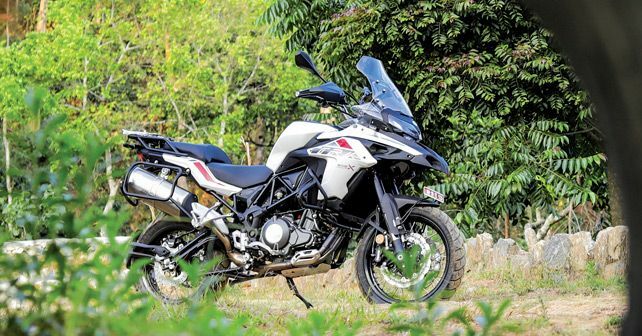 The Italian bike maker has garnered 85 bookings of the TrK 502X and another 65 of the standard TrK 502. Customers can book either of the TrK offerings by paying a minimum amount of Rs 10,000 on Benelli’s India website too. The TrK 502 range is powered by a 500cc twin-cylinder liquid-cooled motor that pumps out 46.8bhp and 46Nm. This engine comes paired with a 6-speed transmission. The 502 sits on 17-inch alloy wheels while the off-road centric 502X has been fitted with 19-inch spoke rims at the front and a 17-inch one at the back. The TrK 502 is the first motorcycle to be launched since Mahavir Group took charge of all sales, service, and distribution of the brand from the DSK Group in August last year. These bookings have been received at one of the 18 dealerships that the brand has across the country – ten of which have been inaugurated this month. In fact, the company has plans of setting up 40 dealerships across the country by the end of 2019. As of now, Benelli has outlets in Vijayawada, Goa, Delhi, Mangalore, Kolkata, Guwahati, Vadodara, Chennai among other cities.